Finished his second season in Memphis and fourth in the NBA with averages of 5.7 points, 4.1 rebounds and 0.68 blocks on .534 shooting in 15.2 minutes in 63 games (four starts)… Led the team in field goal percentage… Averaged 10.3 points, 6.3 rebounds and 1.25 blocks on .600 shooting in 25.0 minutes in four starts… Recorded 5.4 points, 4.0 rebounds and 0.64 blocks on .527 shooting in 14.5 minutes in 59 games in off the bench… Productive when given extended minutes, averaged 14.3 points, 12.0 rebounds and 1.20 blocks on .619 shooting with three double‐doubles in the four games in which he received 27+ minutes… Memphis went 3‐1 in those four games… Recorded a season‐high 21 points and 12 rebounds in 33 minutes on Dec. 3 vs. Phoenix… Pulled down a career‐high 17 rebounds on Jan. 10 vs. Phoenix, setting a single‐game franchise record for rebounds off the bench… Led the team or shared the team lead in rebounding five times, steals four times, blocks 17 times and minutes once… Scored 10+ points 14 times and 20+ points once… Grabbed 10+ rebounds five times… Recorded four double‐doubles, including three against the Phoenix Suns… DNP (Coach’s Decision) 16 times… Missed three games from Dec. 7‐11 due to a sprained left ankle. 2013 Playoffs: Averaged 1.6 points and 1.4 rebounds in 6.0 minutes in eight appearances in his first NBA postseason. 2010-11 (Toronto): Averaged 7.7 points, 7.1 rebounds and 1.03 blocks on .576 shooting in 24.6 minutes in 65 games (17 starts) in his rookie season… Ranked fourth among rookies in field goal percentage, fourth in rebounds and third in blocks… Set a Raptors franchise rookie record in field goal percentage… Grabbed a career-high tying 15 rebounds on March 5, 2011 at New Jersey… Blocked a career-high tying five blocks on Jan. 24, 2011 vs. Memphis… Assigned to the NBA D-League’s Erie Bayhawks on Nov. 15, 2010 and averaged 10.0 points, 5.0 rebounds and 3.00 blocks on .583 shooting in 17.5 minutes in two games. Drafted by the Toronto Raptors in the first round (13th overall) of the 2010 NBA Draft on June 24, 2010… Signed a multi-year contract with the Toronto Raptors on July 6, 2010… As part of a three-team trade on Jan. 30, 2013, traded by the Toronto Raptors with a 2013 second round draft pick to the Memphis Grizzlies; the Toronto Raptors traded Jose Calderon to the Detroit Pistons; the Detroit Pistons traded Tayshaun Prince and Austin Daye to the Memphis Grizzlies; the Memphis Grizzlies traded Rudy Gay and Hamed Haddadi to the Toronto Raptors... Signed a multi-year contract with the Los Angeles Lakers on July 23, 2014. A member of the 2010 NCAA Championship North Carolina Tar Heels… Averaged 9.2 points, 7.7 rebounds and 2.11 blocks on .548 shooting in 22.2 minutes in 61 games in two years for UNC… 2009-10 (Sophomore): Averaged 13.4 points, 9.6 rebounds and 2.8 blocks on .578 shooting in 27.9 minutes for the 2010 NCAA Champion University of North Carolina Tar Heels… Suffered a season-ending injury with a broken lunate bone in his left wrist on Feb. 10, 2010 vs. Duke… Grabbed a career-high 16 rebounds on Jan. 4, 2010 at College of Charleston and did so again on Feb. 7, 2010 at Maryland… 2008-09 (Freshman): Averaged 6.7 points, 6.6 rebounds and 1.7 blocks on .518 shooting in 38 games… Record second among ACC freshman in rebounds and blocks… Scored 11 points and grabbed eight rebounds in the NCAA National Championship Game vs. Michigan State… Averaged 8.2 points and 5.5 rebounds on .571 shooting in six NCAA Tournament games. 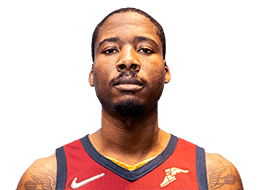 Born June 5, 1989 in Washington, D.C… Full name is Edward Adam Davis… Son of Angela Jones and Terry Davis… Father, Terry, played 10 seasons in the NBA (1989-01) with the Miami Heat, Dallas Mavericks, Denver Nuggets and Washington Wizards… Led Benedictine High School in Richmond, Va. to a pair of Virginia State Championships… Averaged 22.0 points, 14.0 rebounds and 7.0 blocks during his senior year… Named 2008 Virginia Mr. Basketball by the Roanoke News… Recorded 11 points and six rebounds in the 2008 McDonald’s All-American game… Posted 18.5 points, 13.2 rebounds and 4.4 blocks as a junior… Played first two years of high school ball at Mechanicsville Hanover High School in Virginia.